We all have the right to good health care. If you’re unhappy with your GP or doctor's surgery, you can complain to them directly, or to the NHS in your region. Your feedback is important in making sure that the NHS provides the best service it can. Some problems can be dealt with on the spot if you’re comfortable raising them informally with staff. If you’d like to complain about your GP or doctor's surgery, ask for a copy of the surgery’s complaints procedure, and use this to help you. Keep a record of who you speak or write to, and on what date. If you raise your complaint verbally, make sure you write down everything you discuss. The NHS Constitution says that you have a right to have your GP complaint properly investigated. Your complaint should be acknowledged within three working days, and you should also be told about the outcome of the investigation. If you’ve been harmed by negligent treatment, you have a right to compensation. 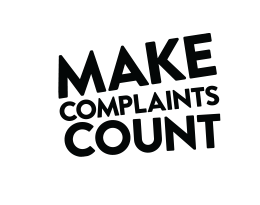 To have your complaint investigated, you usually need to complain within 12 months of the event happening, or as soon as you first become aware of the issue you want to complain about. The time limit can be extended in special circumstances. Make sure you ask for a copy of your surgery's complaints procedure and be sure to follow it. This is the best way to ensure your complaint will be dealt with promptly and appropriately. Depending on where you live in the UK, the NHS complaints process may be slightly different. NHS Advocacy can give you free, confidential and independent support with making your complaint about your GP. The service is provided by your local authority. To find contact information in your local area, contact your local authority’s customer services department. Your local Healthwatch can also signpost you to organisations that can help with your GP complaint. If you're not happy with the way in which your GP practice has dealt with your complaint, you can refer it to the ombudsman to investigate further. If you're unhappy with the final response from your GP practice you can take your complaint to the health service ombudsman. The ombudsman is independent of the NHS and free to use. It can help resolve your complaint, and tell the NHS how to put things right if it has got them wrong. The ombudsman only has legal powers to investigate certain complaints. You must have received a final response from your GP practice before the ombudsman can look at your complaint. The ombudsman will generally not look into your complaint if it happened more than 12 months ago, unless there are exceptional circumstances. We advise making your complaint in writing using any designated forms provided by the ombudsman. However, you may also be able to email and phone the ombudsman about your complaint. The ombudsman you contact will differ depending on which region you live in.